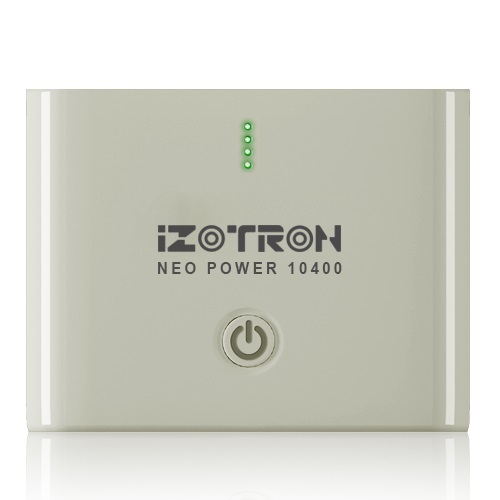 Neo Power 10400 offers a huge battery capacity of 10400mAh along with 2 USB ports to allow its users to charge two portable devices simultaneously. Being highly compatible, Neo Power 10400 can charger various types of portable gadgets, such as Mp3/Mp4 Players, Smartphones, Android Tablets, iPads, iPods, iPhones, Gaming Consoles and Portable Speakers. Light & Compact, it complements users busy lifestyle by enabling them to charge their gadgets on the go. Tablet PCs, iPhones, iPads, iPads, Smartphones, MP3/MP4 Players, Cameras, Gaming Consoles etc.